Choose from a wide range of computer classes in NY, and find one that best fits your personal and budgetary needs. Learn to use the computer in fun and innovative ways, and take full advantage of today's advanced technological age! A Wide Range of Computer Courses in New York! Ace Computer Training Center provides comprehensive training solutions in the medical, computer networking, and business technology fields. Since 2002, thousands of students have enhanced their computer skills through intensive, hands-on training under the guidance of expert instructors. Choose from a wide range of computer courses including LAN & WAN administration, PC technology, networking concepts, computer network security, Microsoft Windows Client Administration, Microsoft Windows Server Administration, Inter Network Devices, Advanced Cisco Networking, web designing, and graphic designing. Ace Computer Training Center also has a location in Queens (phone # is 718-575-3223). 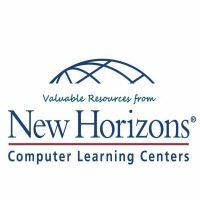 IT Training leader with 30 years of experience, highly awarded (Top 20 IT educational companies in the world voted for 5 years in a row by TrainingIndustry.com), New Horizon has made it easy for everybody to learn IT skills. They have developed innovative methods like Online LIVE or Online Anytime to work around everybody's busy schedule. Traditional learning is also available, either by classroom training, mentored training, private classes or on-site learning. New Horizons has over 300 centers in 70 countries and a wide range of IT and business courses, all delivered by certified instructors. They are Authorized Partners of Microsoft, Cisco, Citrix and many other IT organizations. Check out their website for the best IT classes in the world and even some free webinars! Computer graphics is their area of expertise. They are so good at it, that they wrote their own books. NY State-Licensed and Adobe Authorized, Noble Desktop NYC has been providing graphic education since 1991. The measure of their quality is given by the 1600+ professionals who attended their classes - check out the website for the testimonials. Dreamweaver, Fireworks, Photoshop, and Flash are just a few of the graphic software they teach. The books which guide the learning process are affordable and very useful. They also have a special program for independent teachers who want to use the Noble Desktop system in their classes - they get free review copies and discounted class workbooks. All week long computer training! Computer Teach NY specializes in computer classes for adults, teenagers, children and seniors providing different classes for different ages, from basic computer knowledge to advanced classes in web design, database design, and software programming. Their offer also includes home tutoring for the areas of Great Neck, Nassau County, Suffolk County, Queens, Brooklyn, New York City, Westchester, Long Island, Southern Florida, Boca Raton, Palm Beach, or Miami. All their teachers are certified by the New York State and have great teaching methods even for the most inexperienced computer users. The computer school is open all week, with the following schedule: Monday - Thursday 8am - 9pm, Friday 9am - 6pm, Saturday and Sunday 10am - 5pm. Online enrollment is possible. 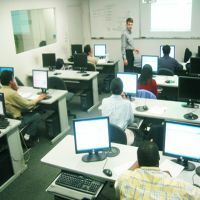 With more than 100 Dual-Core computers connected to high-speed internet, modern and spacious classrooms and quality trainers, The Career Center in New York is happy to provide over 100 different courses in IT. 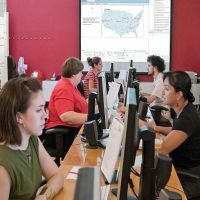 As a Microsoft and Adobe Partner, The Career Center teaches Microsoft Office as well as Photoshop, Dreamweaver and Illustrator courses, to name a few. Other courses and certifications available include: programming and data administration (.Net, C++, Visual Basic, and so on), networking (Cisco, CompTIA), and Google (AdWords, Google Analytics, Google Apps). They also have a special program for new users: Intro to Personal Computers and a soft skills section which teaches business strategies. 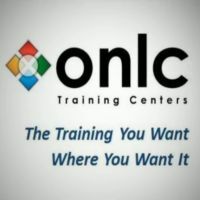 One of the Top 20 IT learning companies in the world (distinction given in 2012 by TrainingIndustry.com), ONLC provides computer education in over 300 training classrooms in North America and has a unique Remote Classroom Instruction (RCI™) which integrates all of these classrooms' facilities. ONLC offers every professional certification in the IT industry: Microsoft, Cisco, Oracle, ITIL, CompTIA, Adobe, Citrix. Learn your business and stay in business with IT skills that change the world, from simple Microsoft Office use to advanced programming and network administration. These NY computer classes are guaranteed to help you! Want to become a Microsoft Office specialist? Or maybe a Photoshop Certified Associate or a QuickBooks Certified User? Take the classes at NYIM Training NY and you will be more than prepared to take the certification exams! The teachers have many years of experience as specialists in their fields and also as trainers and can deliver high quality education. The IT courses are all hands on instructor-led, and are available online and in live sessions. Live online private training can be arranged for individuals or companies who want a personalized program. Retakes of the courses are free of charge. 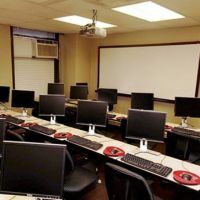 Check the website for updated information about every upcoming computer class at this NY facility. Get your IT certification and boost your career! Assessed by TrainingIndustry.com as one of the Top 20 Training Companies in the world, NetCom Learning NYC is an ambitious company with a mission: to help their clients grow professionally through lifelong learning. For their effort and quality standards, they were named Worldwide Training Partner of the Year by Microsoft. They provide a wide range of IT courses in networking and security, accounting and finances, databases, web design and graphics, voice and IP communications, help desk, programming, wireless technologies, and soft skills. They partner with IT vendors like Microsoft, Cisco, Citrix, Google, ITIL, Oracle, RedHat and many others and provide authorized certifications which will boost your career. 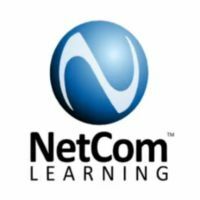 If you want to learn new programs, NetCom Learning offers some of the best computer classes in New York. You deserve an IT education! 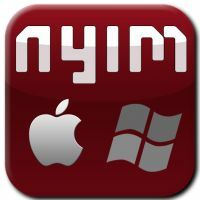 Providing IT training since 1997, the New York Business Institute (NYBI) is a very solid computer school, with strict regulations and policies which ensure a high quality of the learning process. If you are very serious about building an IT career, then you should attend NYBI. The curriculum is approved by the State Education Department, after a thorough investigation. The school offers complete training which prepares you for certification: MOS (Microsoft Office Specialist), CompTIA A+ PC Technician, Network +, Microsoft Server Administration, Microsoft Enterprise Administration, CISCO CCNA and CCNP, Oracle DBA. The school has a very modern authorized testing center. You can find more information on their up-to-date website.